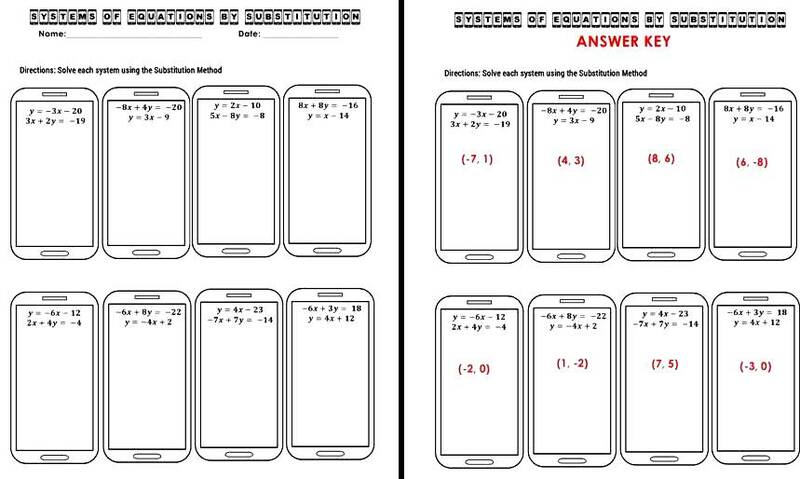 This is a cellphone themed worksheet that involves solving Systems of Equations by Substitution Method. The worksheet contains (8) problems on (1) page and a duplicate page with the answers. The problems are formatted so that (1) problem is in Slope Intercept Form and (1) problem is in Standard Form. 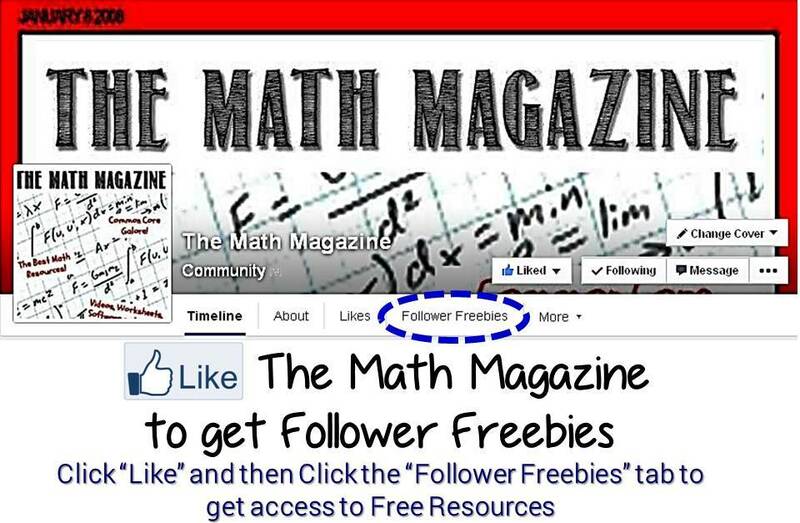 Since each problem is printed on a cellphone, the worksheet could easily be cut into task cards or exit tickets. Also included is a page of notes that explains the Substitution Method. 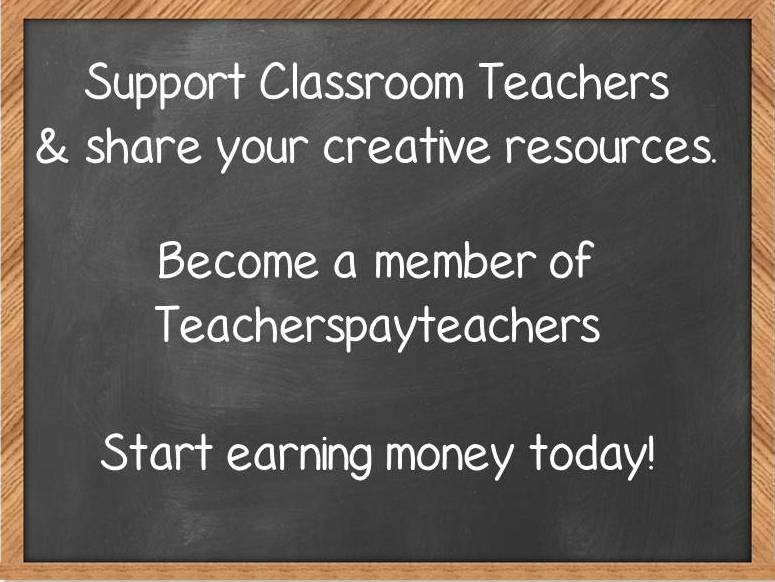 The notes are designed like a text message. 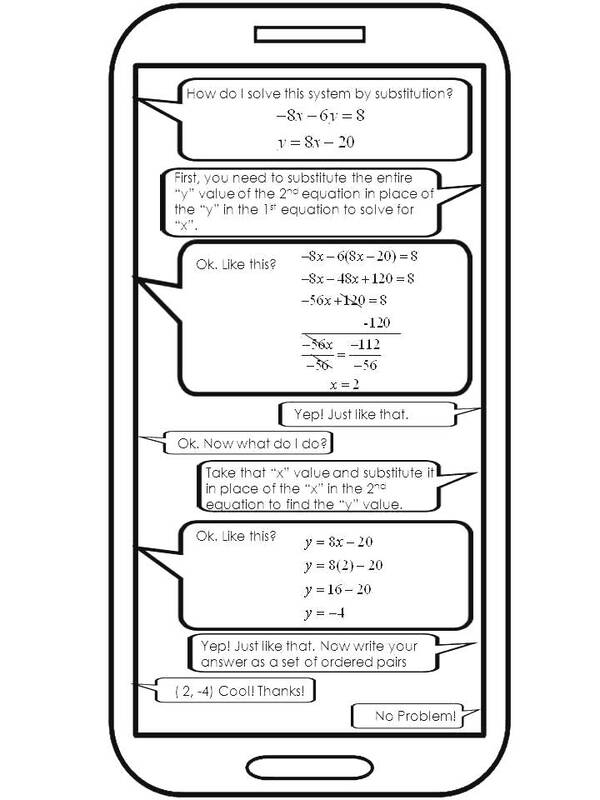 I use the cellphone theme often because it seems to hold the attention of my Algebra students.